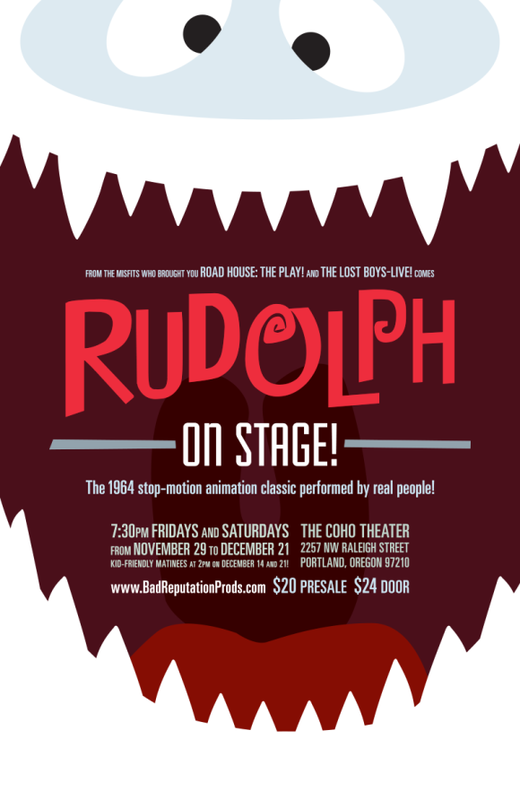 Just in time for the holidays | Bad Reputation Productions presents RUDOLPH: ON STAGE! They’re at it again. The same crew that brought you ROAD HOUSE: THE PLAY! and THE LOST BOYS-LIVE! has another film they want to rework especially for you – on stage. And there’s a Christmas theme. Who else would do this but Bad Reputation Productions?